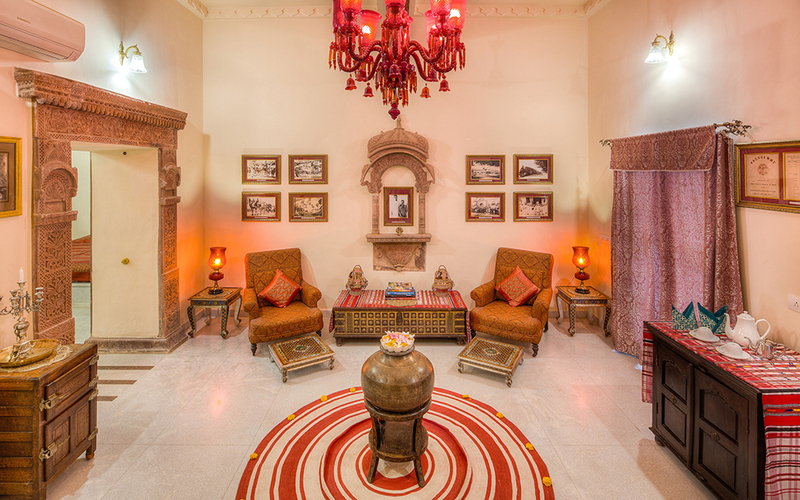 This is classic Indian heritage with a personal touch you just can’t buy. 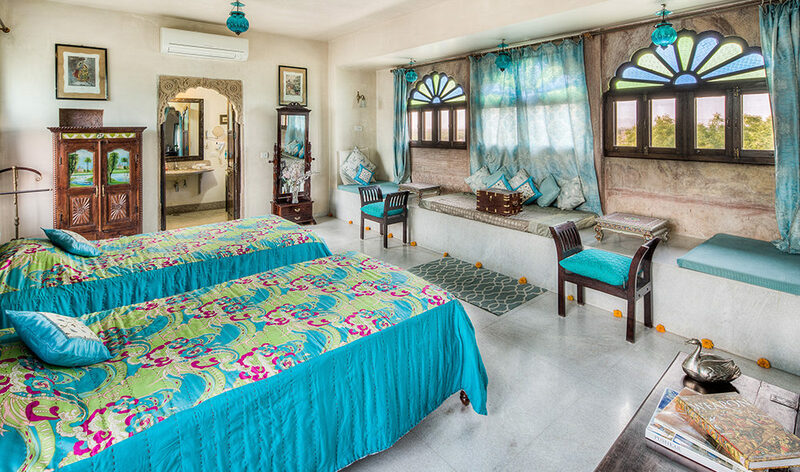 A real family homestead providing 10 wonderful suites (not rooms!) 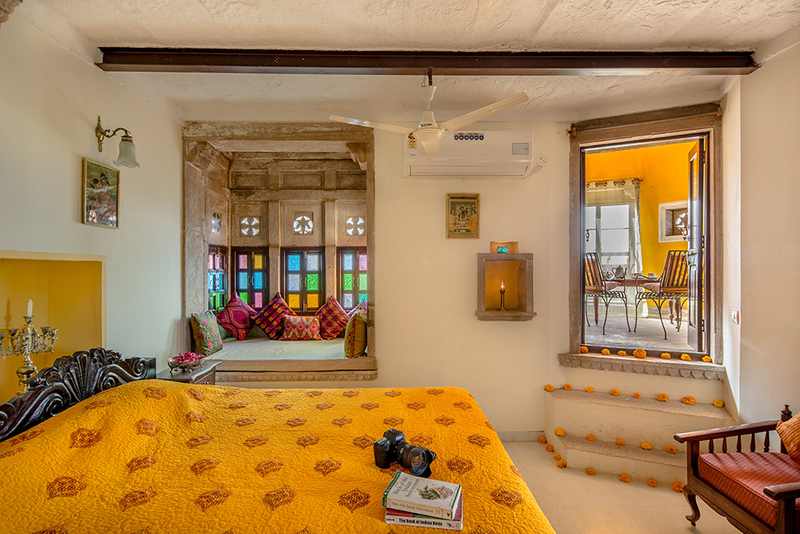 beautifully equipped with all mod cons. 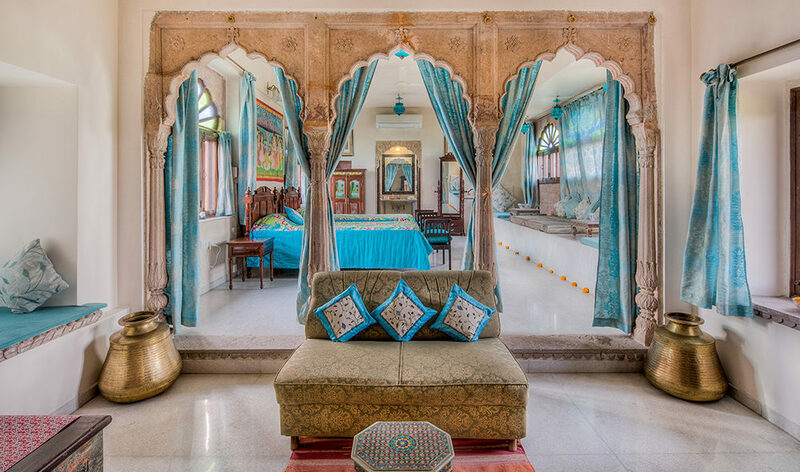 The whole ambience was of a time gone by yet one never felt out of place. 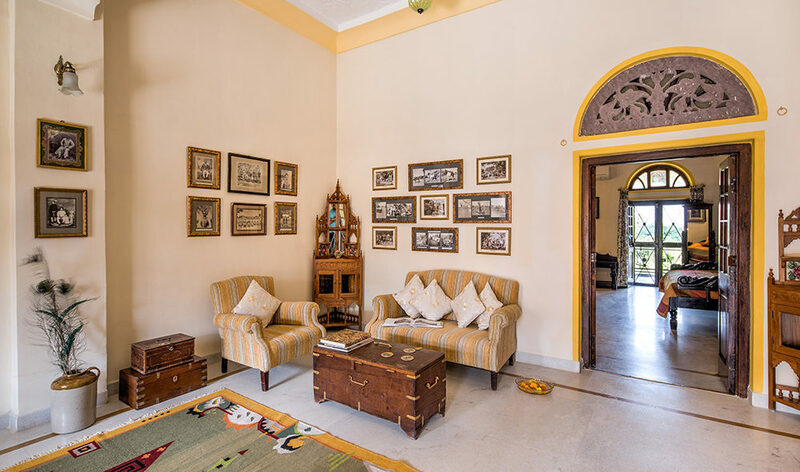 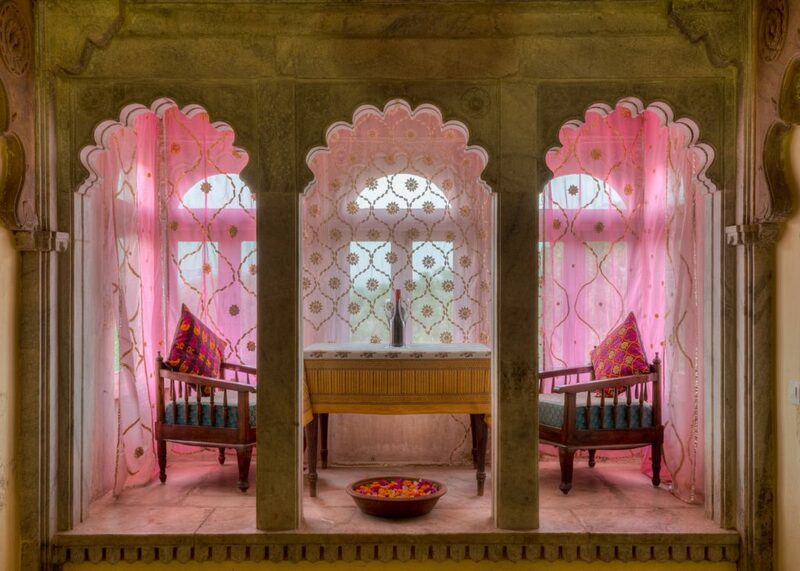 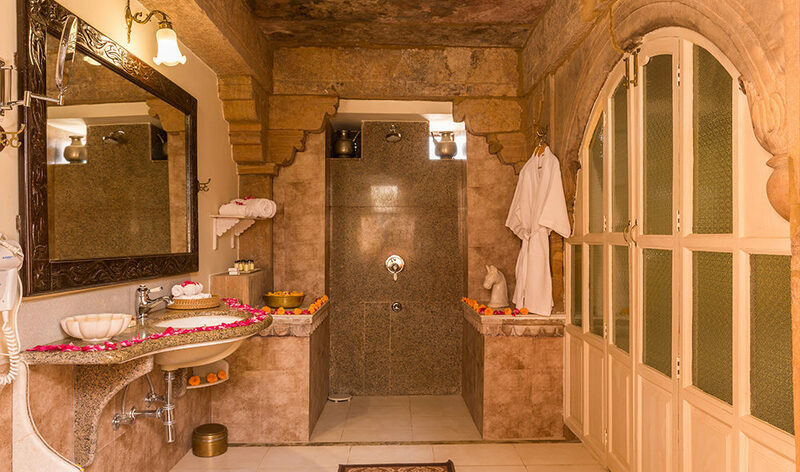 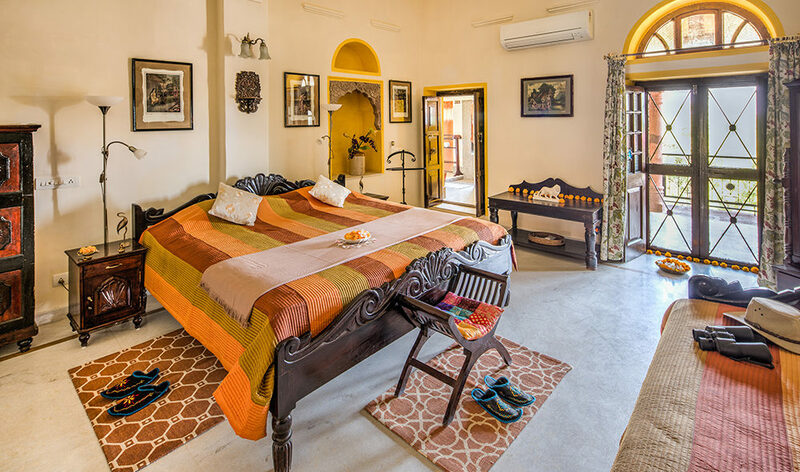 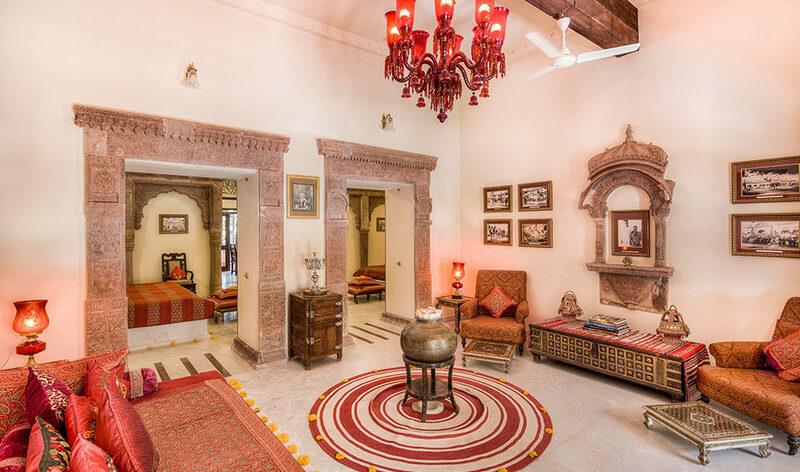 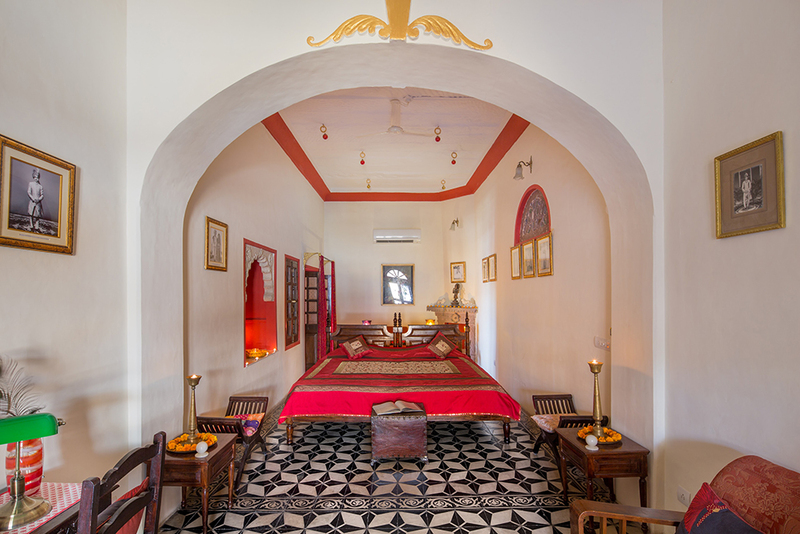 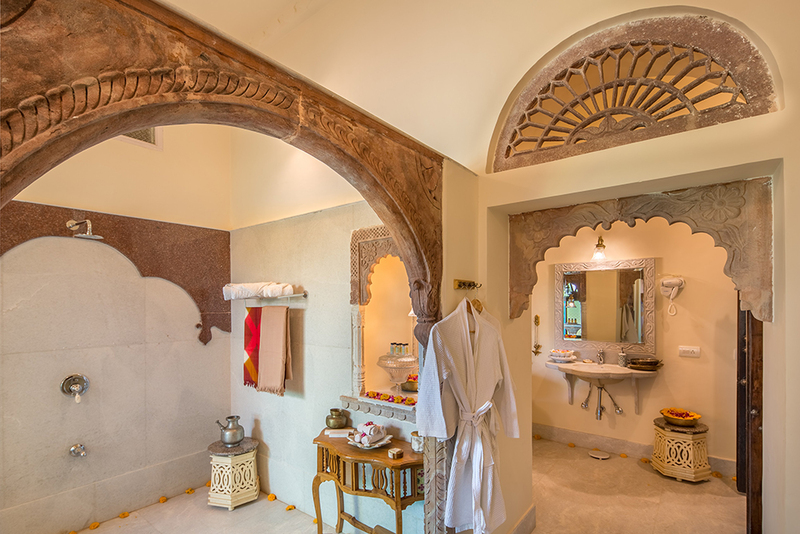 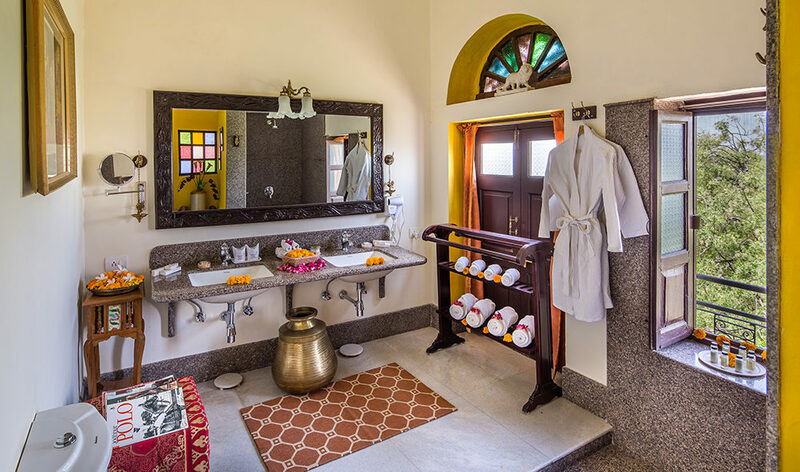 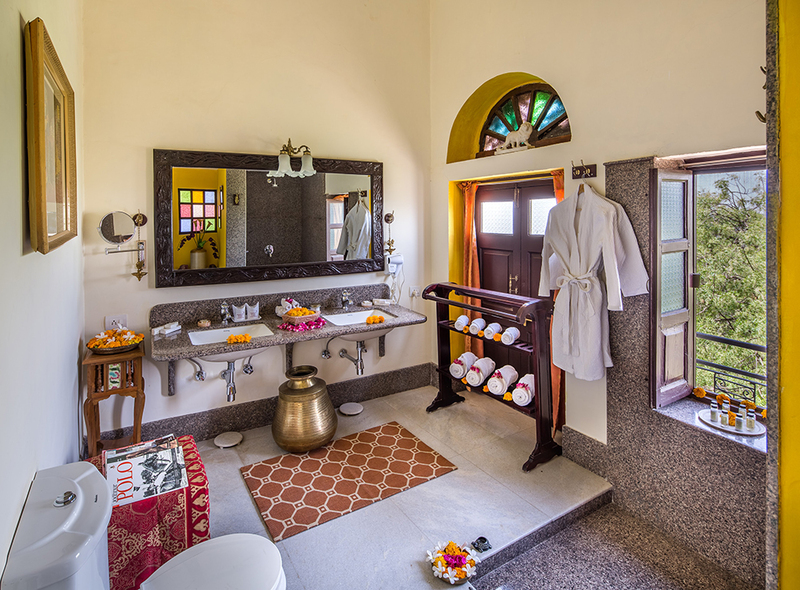 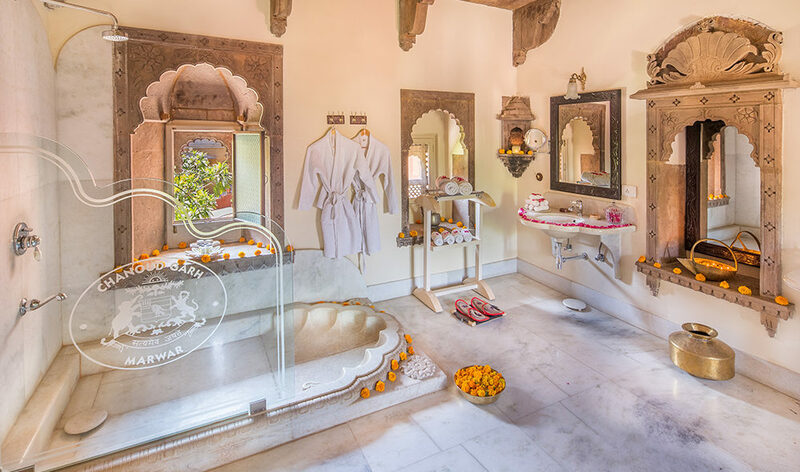 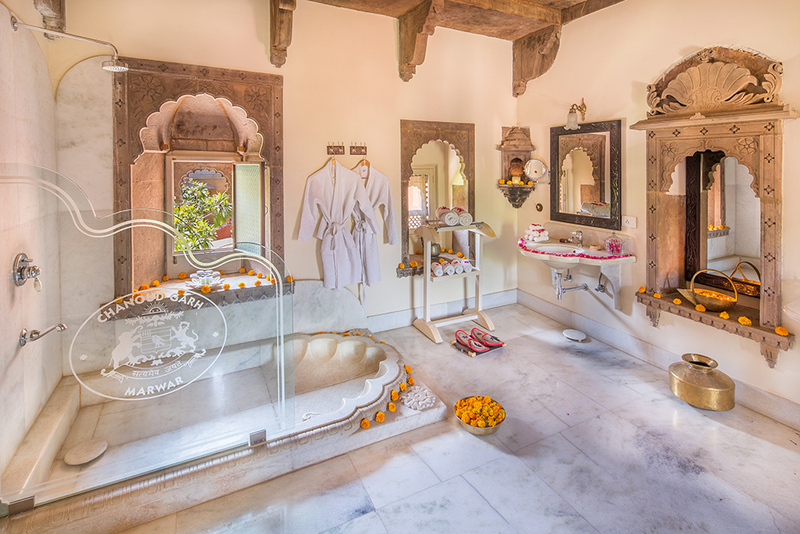 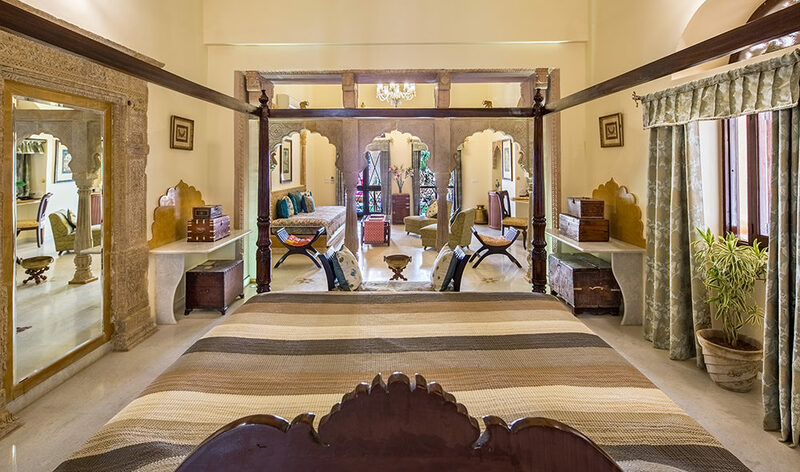 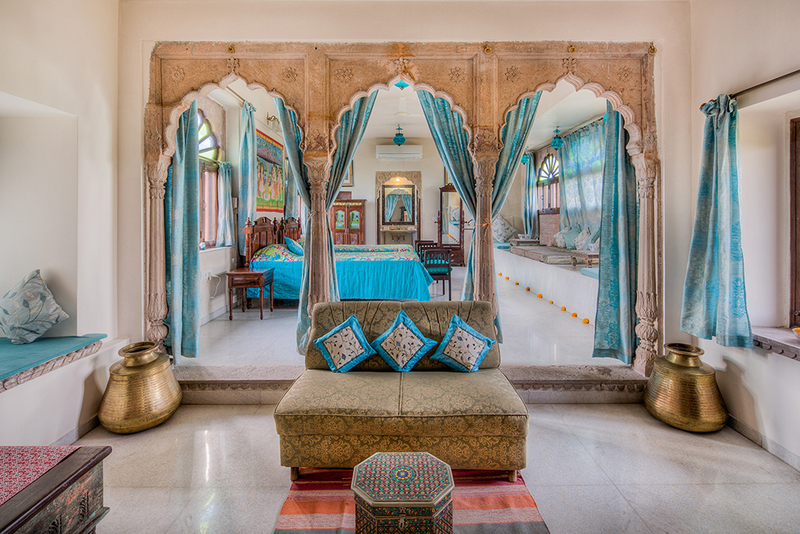 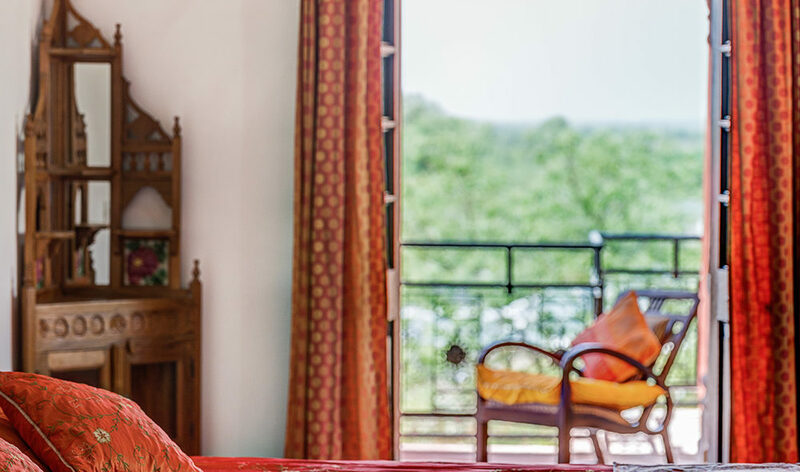 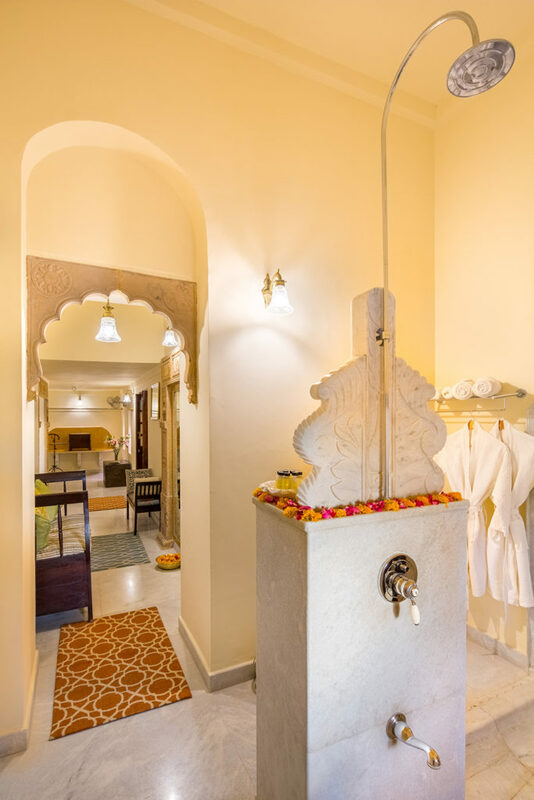 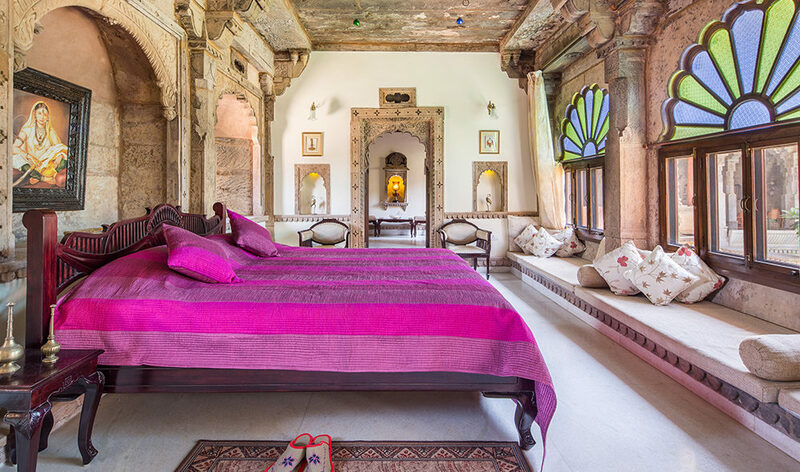 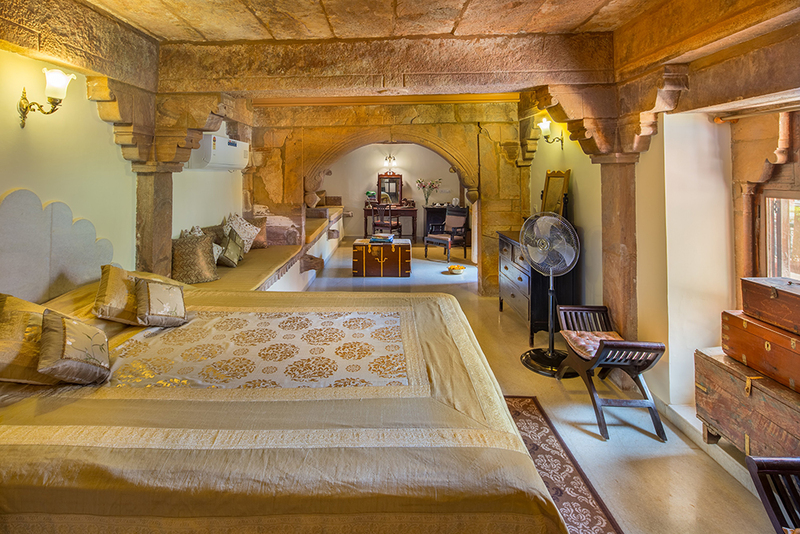 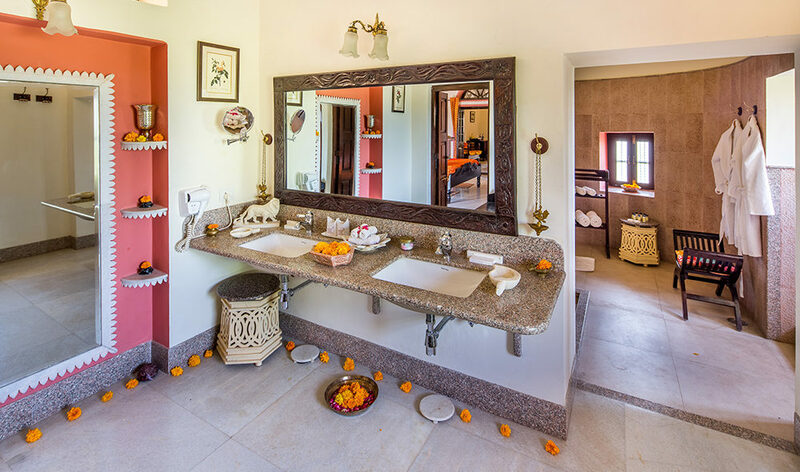 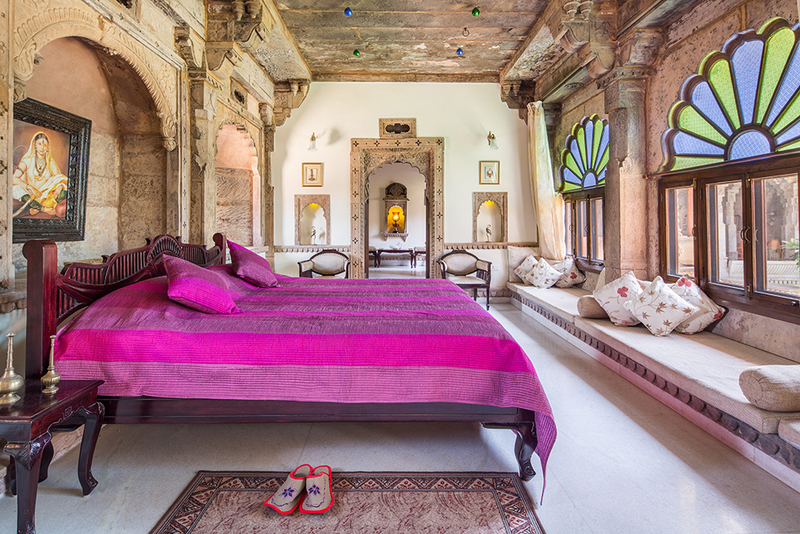 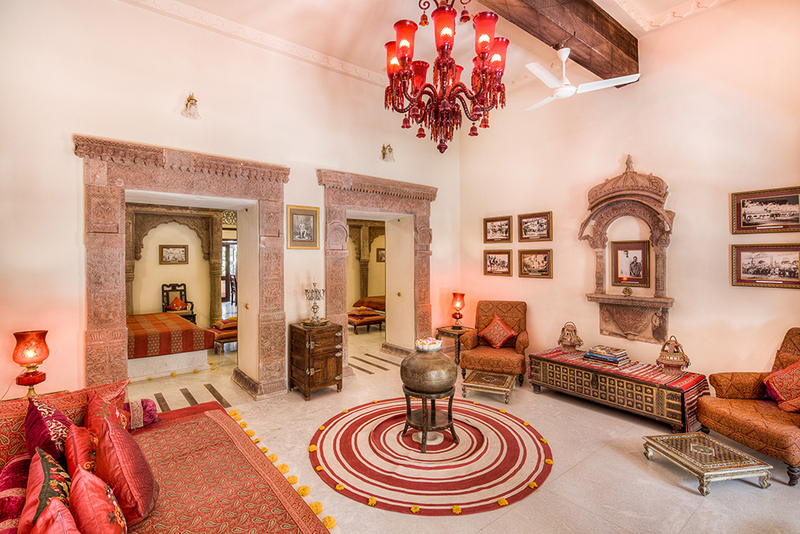 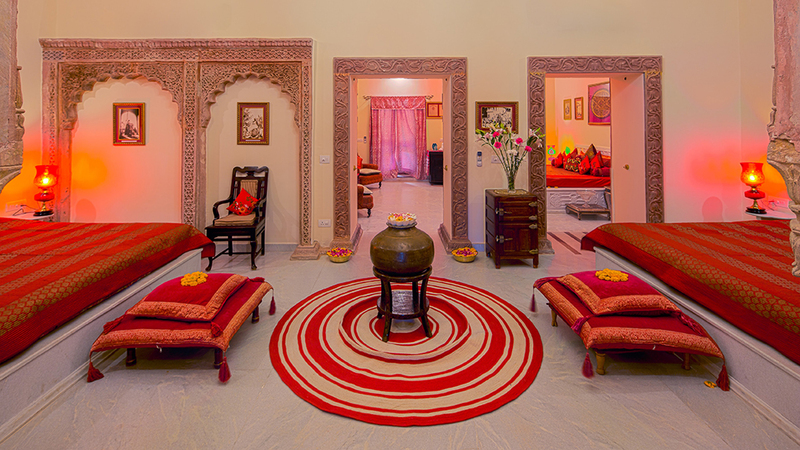 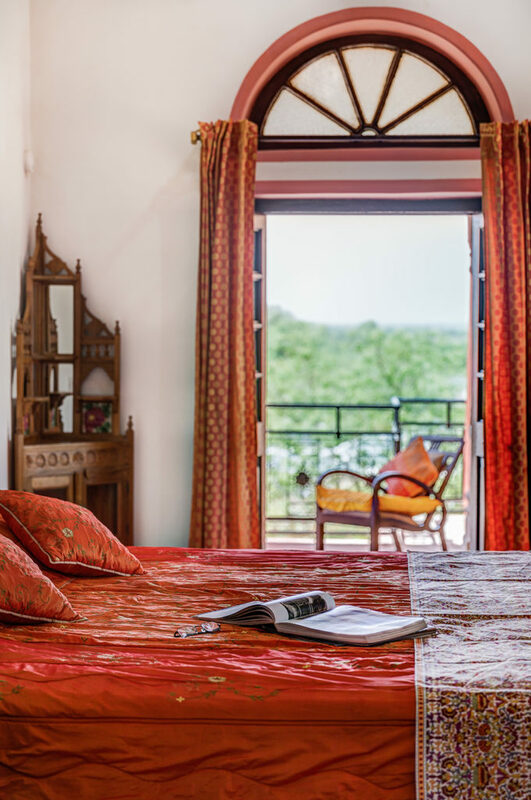 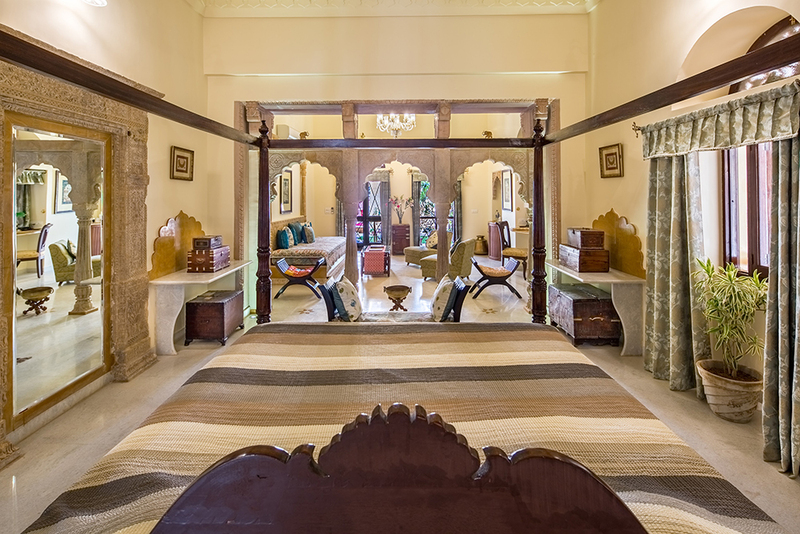 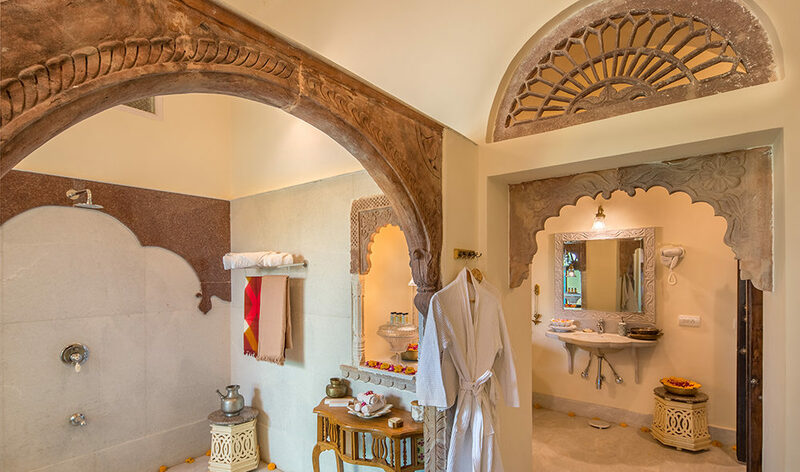 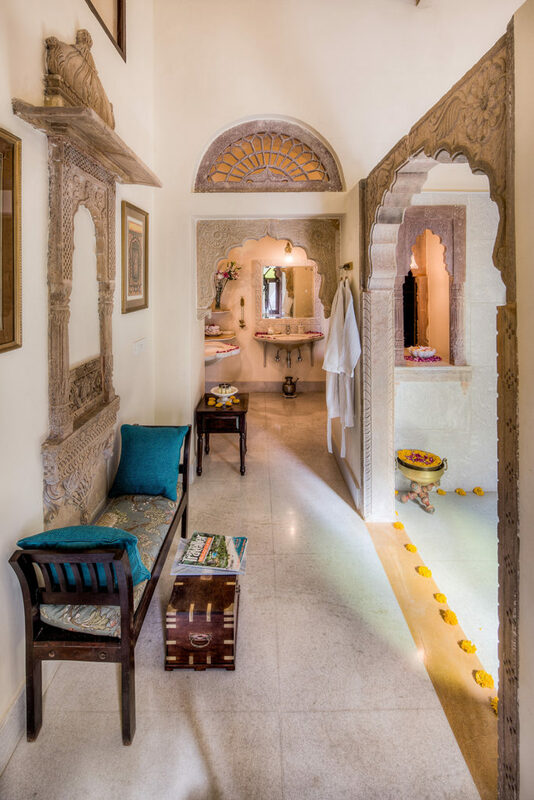 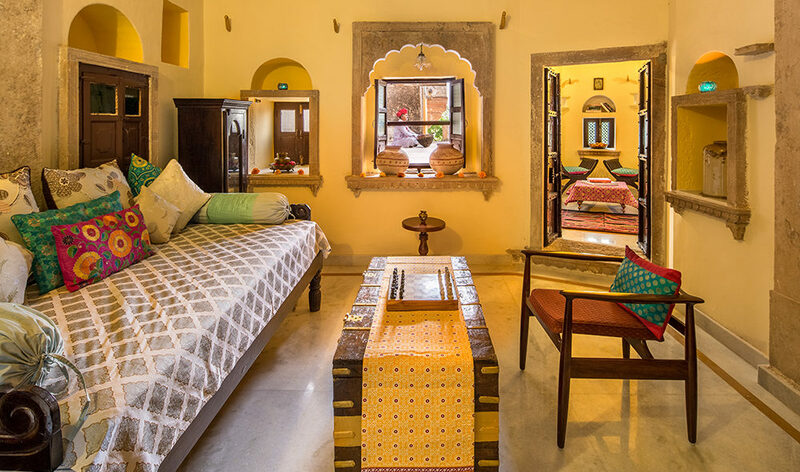 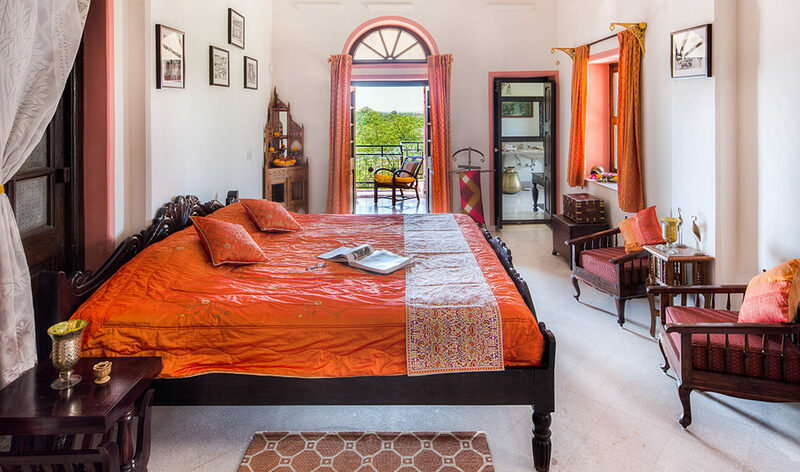 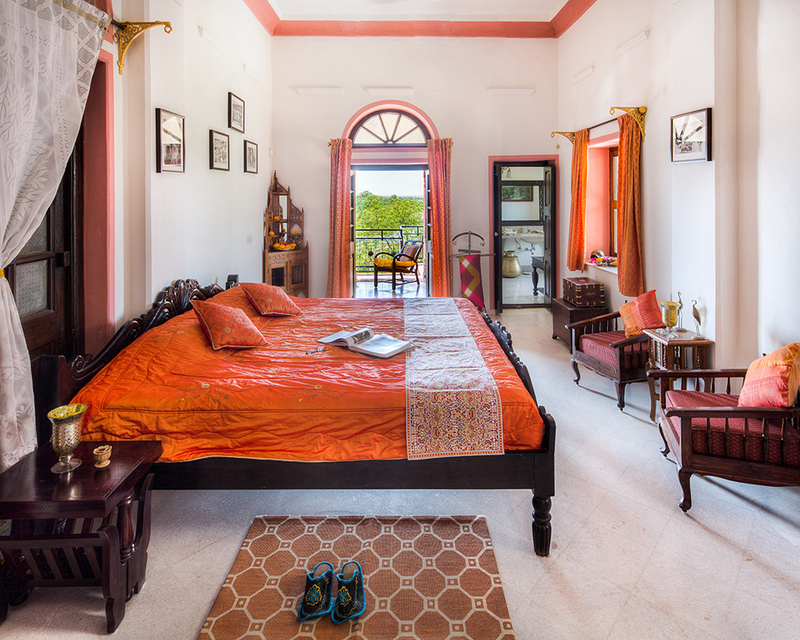 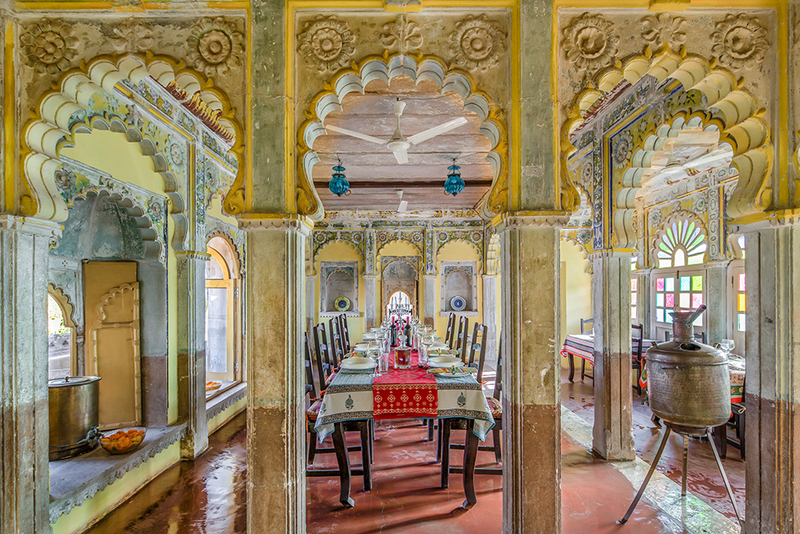 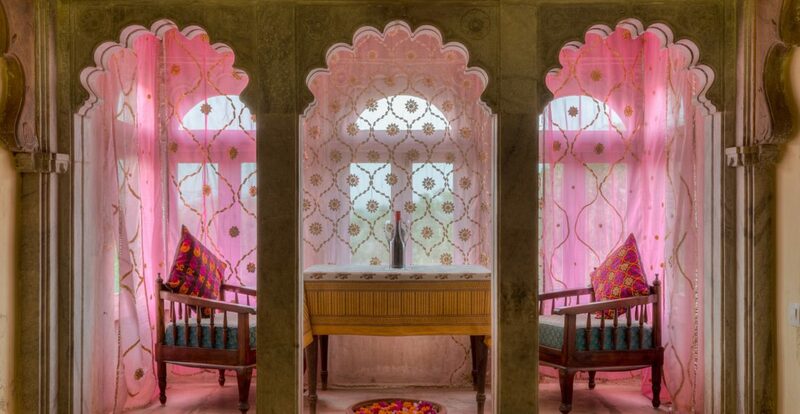 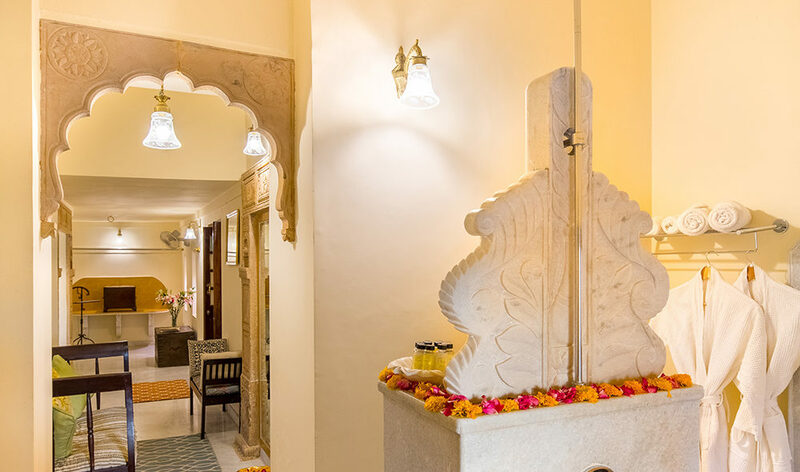 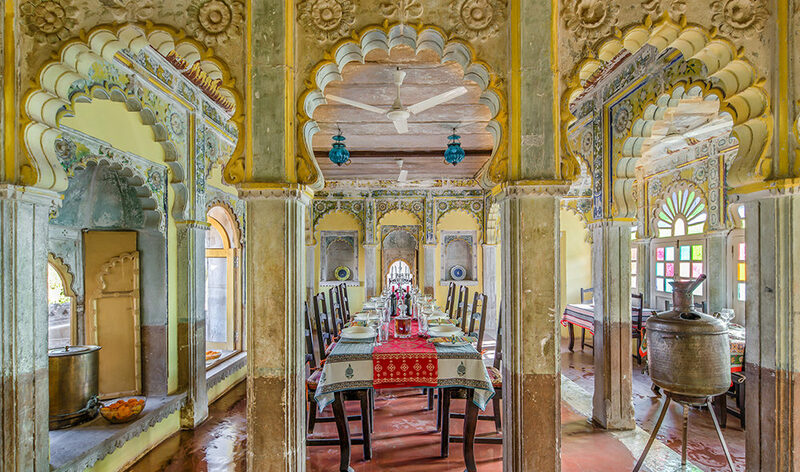 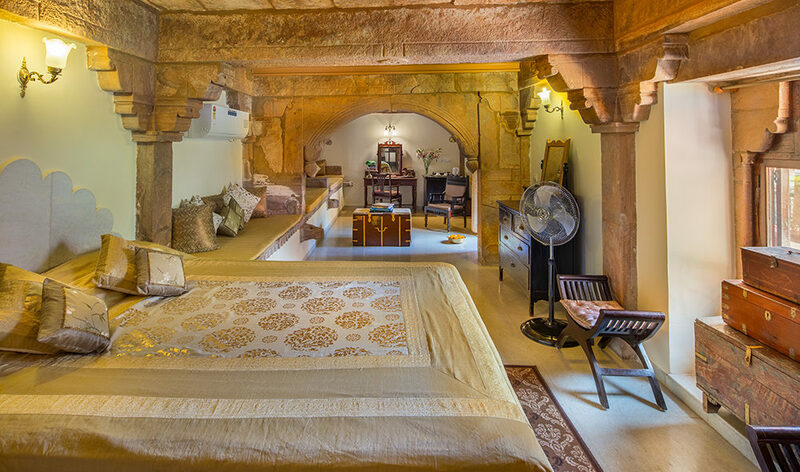 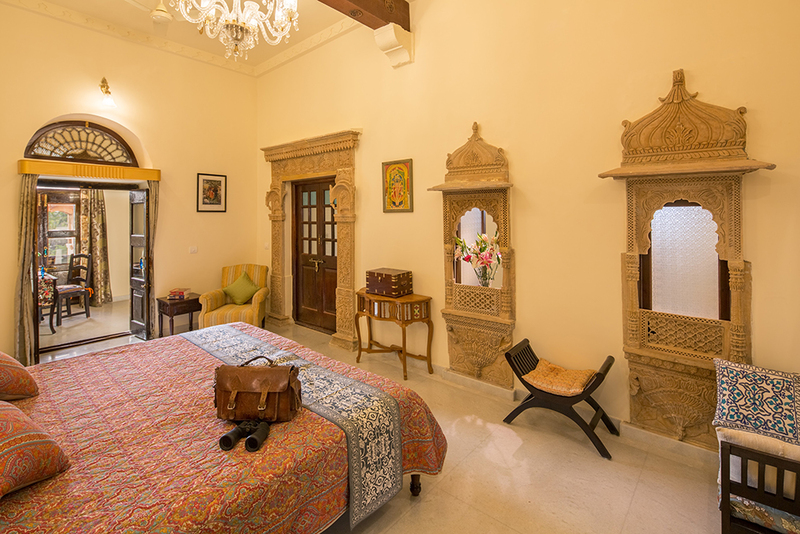 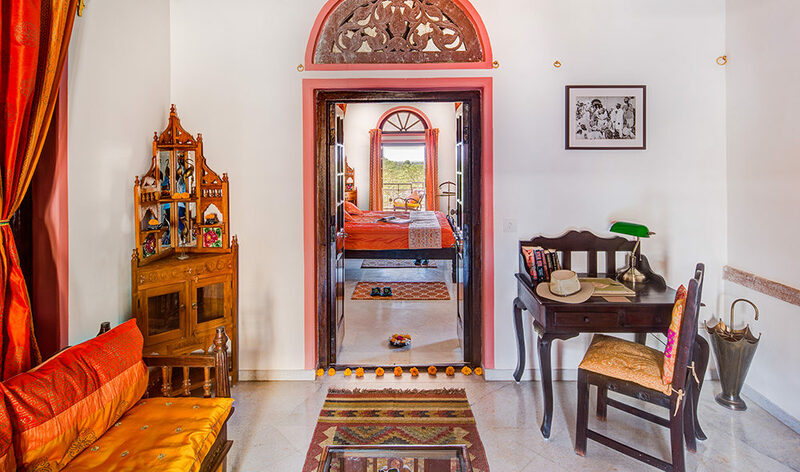 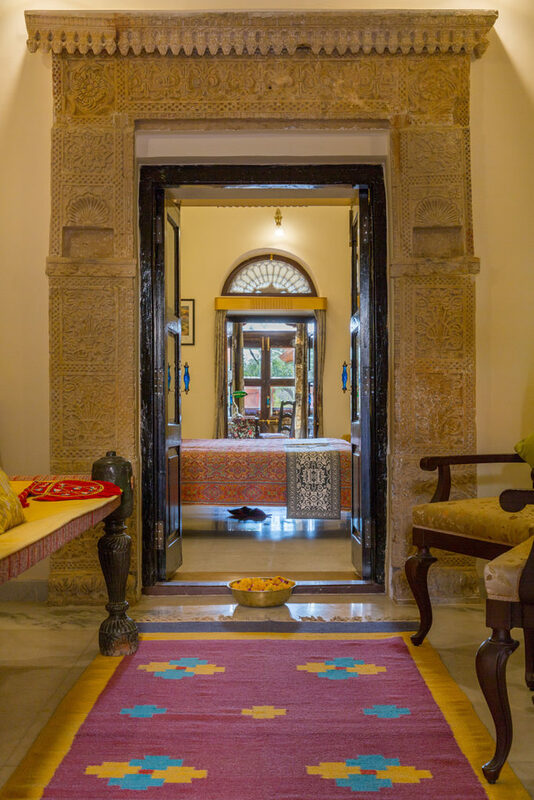 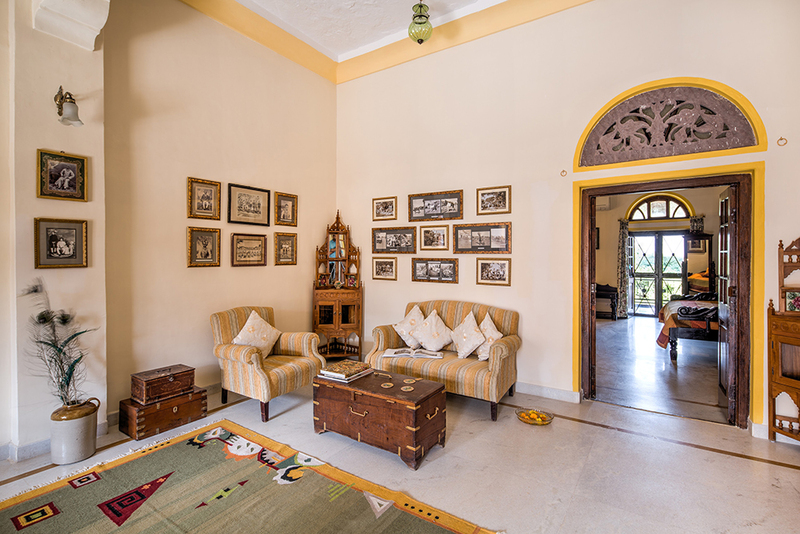 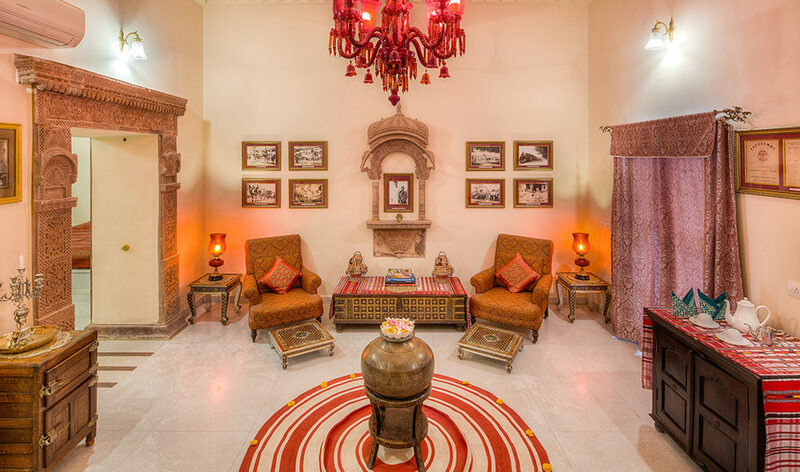 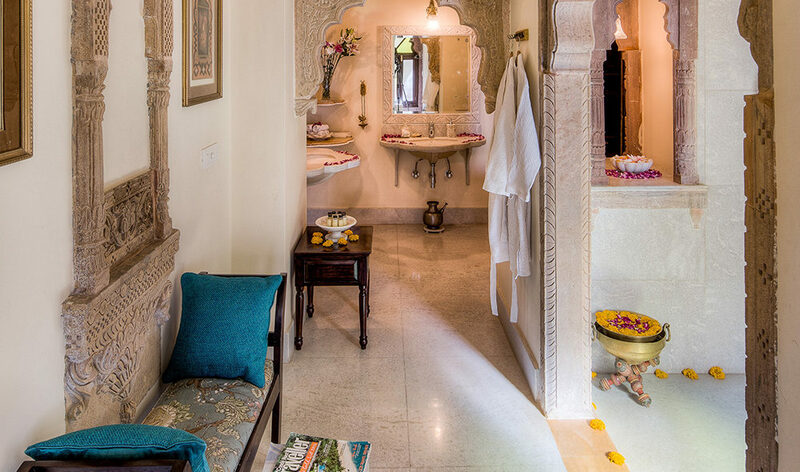 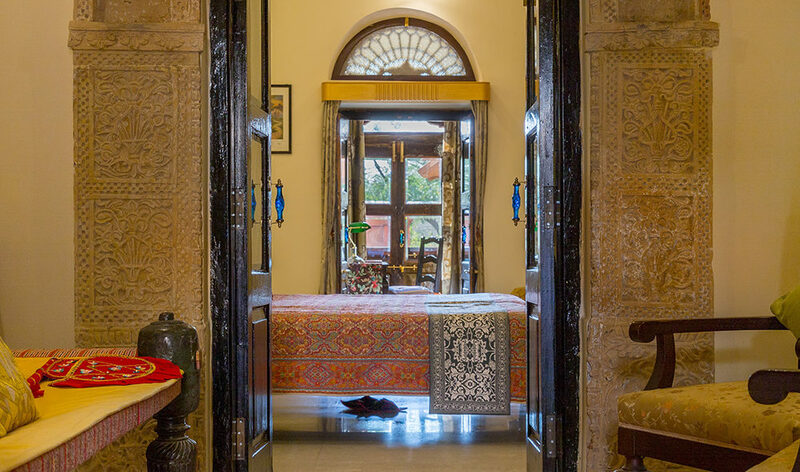 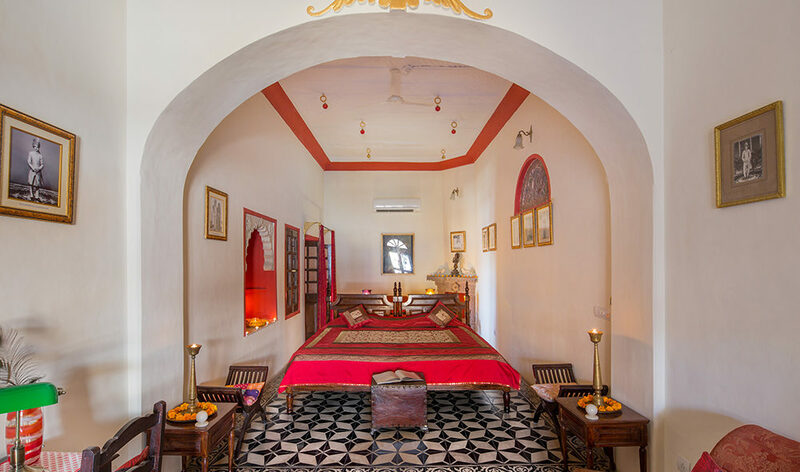 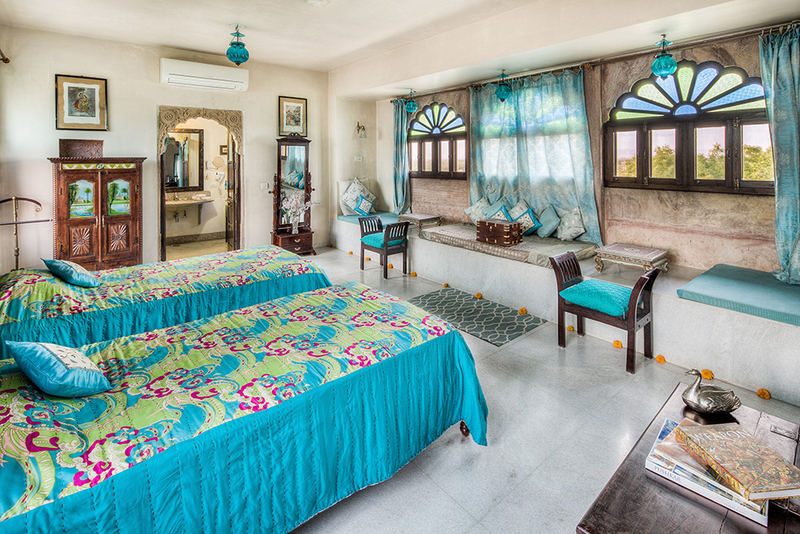 With a unique blend of Mewar, Mawar and Raj era architecture, Chanoudgarh offers 10 expansive suites, all furnished with charming antique and contemporary furniture. 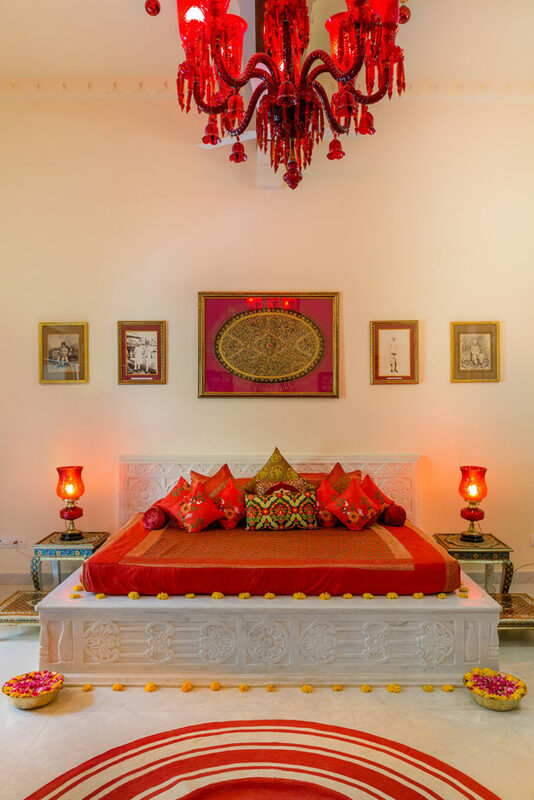 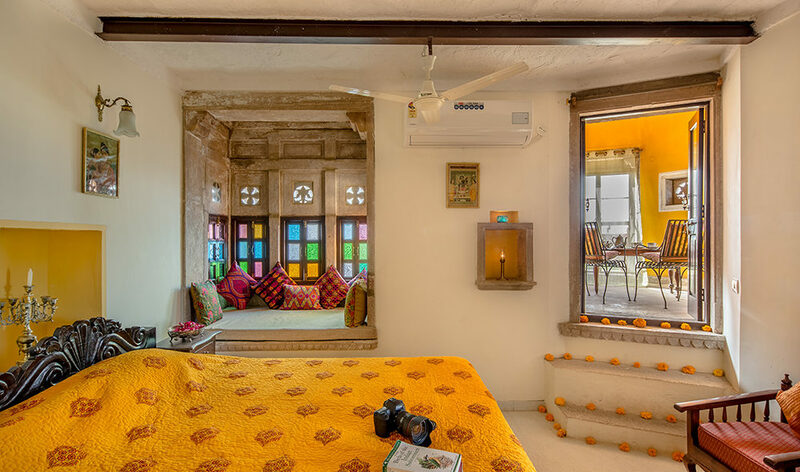 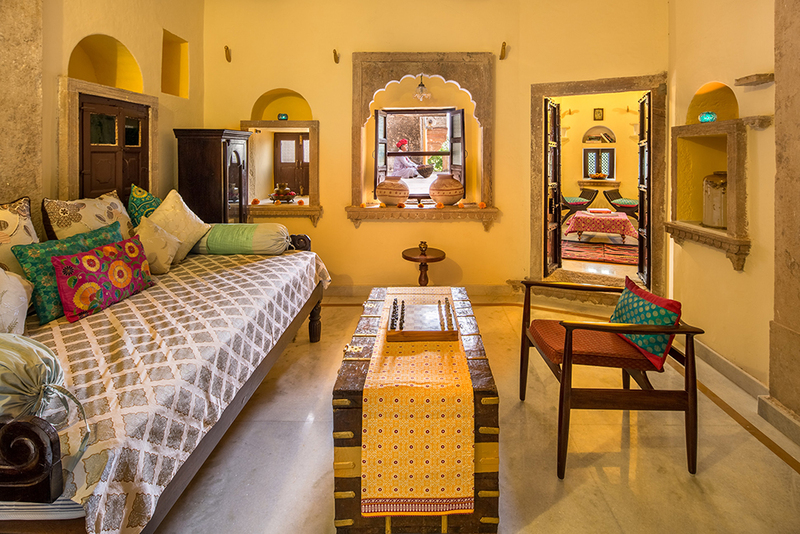 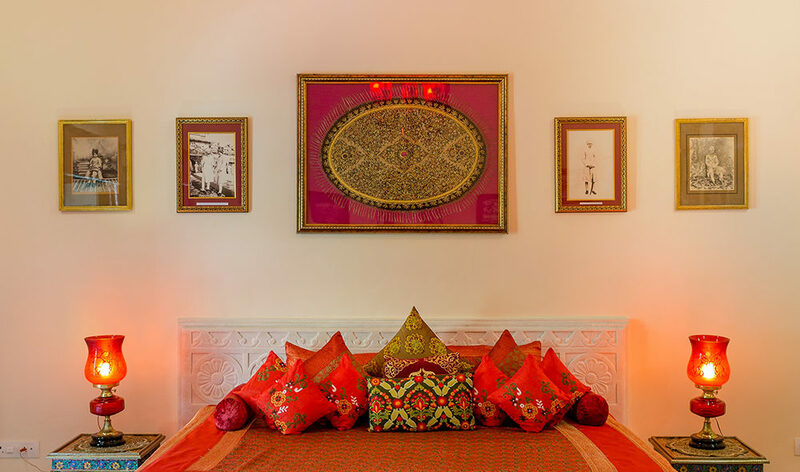 Cherished family heirlooms adorn the nooks and crannies of the rooms, as the vibrant landscape of Rajasthan is echoed in the décor and opulence. 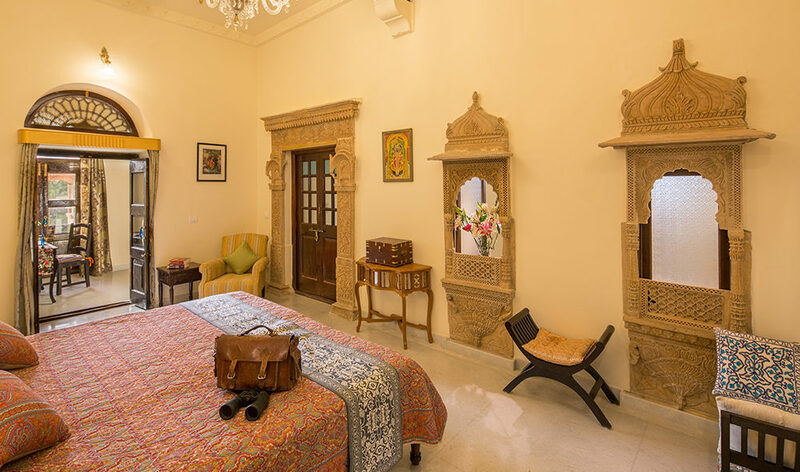 Several rooms are inspired by the architecture of the Victorian era, as they were built during the colonial rule, for weary British travelers seeking a comfortable stay during their hunting expeditions. 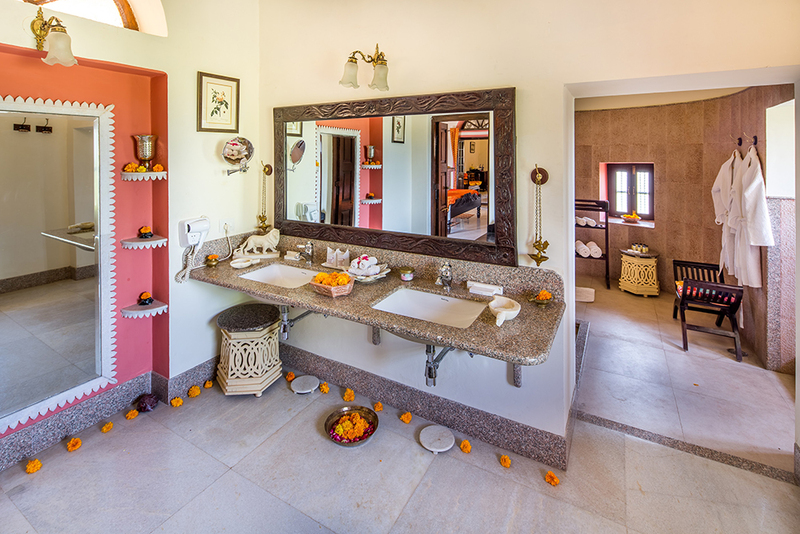 All rooms have en-suite facilities and a private lounge area.